Fulfillment ExampleThe key to accurate folding is grain. Paper grain must be considered from the inception of the job in order to save time and money downstream in the production phase of the job. This is one area where poor planning can cause waste, delay and expense. Planning a printing job without respect for grain can cause excessive cracking, inaccurate folds and delays. Also, the needs of the press have to be weighed against the needs of the bindery (generally presses run long-grain sheets for fit, stability and print quality). Paper grain must be taken into account early in the process so that the correct press sheet is purchased for the job. Our estimators and job planners understand paper and its impact on your job. Frequently a small change in size or specification can make a huge difference in production requirements (and thus cost). We’ll work with you to plan a printed piece that prints and folds accurately. We don’t take shortcuts at your expense! Accurate trimming doesn’t happen by accident. It is more than knowing how to program a paper cutter. We will work with you early in the process to make sure that your files have appropriate bleed and allowance for fold. Bleed is that “fudge factor” or tolerance that makes it possible to do near perfect work with imperfect processes. When a guillotine cutter cuts through a lift of paper several inches thick it tends to “pull” slightly and cut somewhat concavely (by a few thousands of an inch) rather than straight through the lift. The bleed allowance is image that is outside the trim size of the piece. This allowance ensures that there is not a whisker of white space at the edge of a printed piece due to the knife pull. Edge-padding is still used for some applications, namely note and memo pads. Note pads are a great giveaway that puts your contact information in front of your customers every day. They tend to get passed around, frequently finding their way to the desks of potential new clients. Don’t neglect this “low-tech” vehicle for your message. Give us the opportunity to quote on your custom padding needs as well. Bounce your ideas off us and see what we can conjure up to meet your need. If it isn’t organized, it will usually end up in the circular file. Give your clients a nice binder, screen-printed with your logo. Supply them with bulletins and price lists that are 3-hole drilled. Chances are much better that these materials will be saved if they are filed in a binder with dividers. We can drill different diameter holes, depending on your needs. Just let us know your requirements. Our fulfillment department can assemble kits with your data sheets, separators and custom binders, on demand, and ship as needed. Collating is just one aspect of “kitting”, but it is an important one. If a printer doesn’t have enough pockets in his collator, a job would take multiple passes to complete and quality suffers. Our equipment “plays well together” and is configured to be efficient at producing kits (flat sheet work) as well as booklets and books. Our prepress department will “creep” your page files for saddle stitching, or confer with you about grind for perfect binding (stacked collation). Feel free to pick our brains. We want you to look good. That’s why we’re here! Die cutting (as well as stamping and embossing) is one of the last surviving black arts from the letterpress era. Our unique, talented crew live in the 21st century, but still know how to bend steel and use a jigsaw. Print is a tactile, touchy-feely thing and die-cutting brings that sense to the printed piece like no other technology. From a simple shelf-talker to a complex pop-up, we can handle them all. 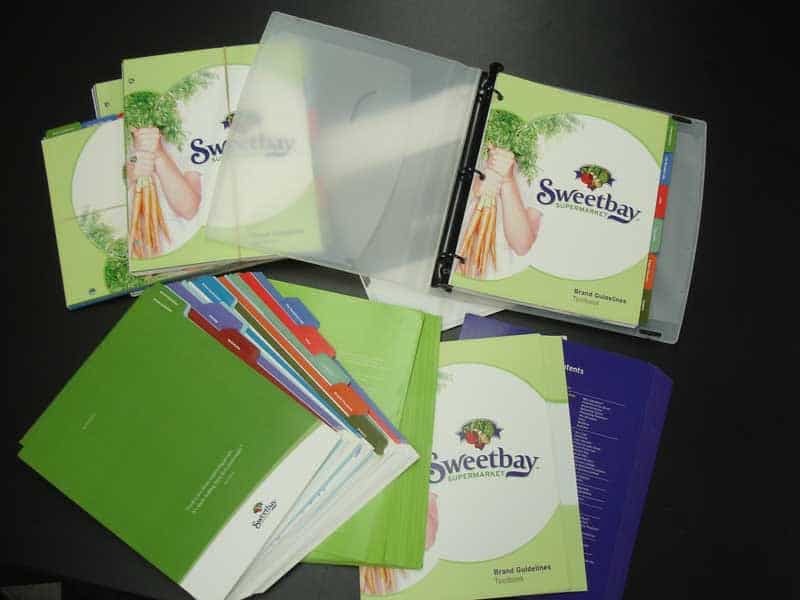 POP displays and pocket folders are our specialty. When you’re ready to bump it up a notch, an elegant foil stamp or emboss (or combination of the two) can elevate your printed piece to a level above the competition (from ho-hum to wow!). Occasionally there is still a need for crash numbering and perforating. If you have a piece that you need serialized, we can do that, whether it’s a raffle ticket or claim check. These days many of these jobs can be done as variable digital print jobs but sometimes special stocks or applications require the use of older technology. We’ll use whatever technology gets the job done. We know how to use today’s technology (and occasionally yesterday’s, when necessary) to get the job done. Contact SPIRE Express today for bindery and finishing printing services that turn ideas into customers.